Event data recorders (EDRs), often known as ‘black boxes’, could become critical in further improving work-related road safety after the EU requested research to be carried out on the technology. The majority of new cars and some vans and other vehicles are already fitted with the technology, which is typically located in the airbag control module, but there is no mandatory requirement or functionality standardisation. 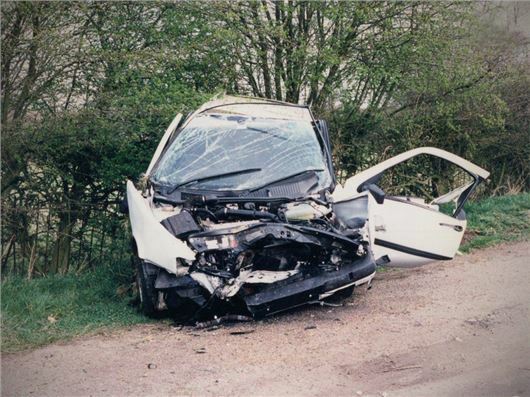 Data is recorded during a road crash and for a short time, usually less then a minute, before and after the collision, and is typically accessed by the vehicle manufacturer. Fleet News reports that he European Commission (EC) has asked transport research consultancy TRL to undertake a study on the deployment of EDRs in cars, light commercial vehicles, HGVs and buses and coaches to “improve road safety and access to justice”. TRL will send its report to the EC by the end of August. Many fleets already use journey data recorders to monitor driver behaviour and numerous studies highlight employees driving more safely and sympathetically as a result. Dr David Hynd, head of biomechanics within the engineering and assurance department at TRL, said: “There is a demonstrable reduction in crash rates if a driver is aware of, and is reminded that, their vehicle is fitted with a monitoring system. Vehicle manufacturers typically access EDR data and interpret it to assist in the development of safer vehicles. Additionally, governments can use the data to develop vehicle safety legislation improvements, the police and courts may use it to establish facts relating to a road crash and fleet managers could use the information to improve safety performance. If the EC supports the mandatory fitment of EDRs, it is likely to request an impact assessment and cost benefit analysis to be undertaken ahead any legislative proposals. A legislative proposal could be made early next year. It would then take a further two to three years for it to be adopted with manufacturers being given a lead time to become compliant. Even if there was political will, it could be 2018/19 before EDR standardisation was achieved. The European Transport Safety Council’s blueprint for road safety for 2010-2020 includes a call for the wider use of EDRs, particularly in fleet vehicles, to provide crash investigators with key information relating to incident severity, vehicle speed and manoeuvres. America has already mandated that, from September 1, all new cars, light trucks, vans and SUVs must be equipped with EDRs. The mandated data collected is extensive. It includes: forward and lateral crash force, crash event duration, indicated vehicle speed, accelerator position, engine rpm, brake application and antilock brake activation, steering wheel angle, stability control engagement, number of times the vehicle has been started, driver and front-passenger safety belt engagement, and pretensioner or force limiter engagement, airbag deployment, speed, and faults for all airbags, front seat positions, occupant size and number of crashes – one or more impacts during the final crash event.